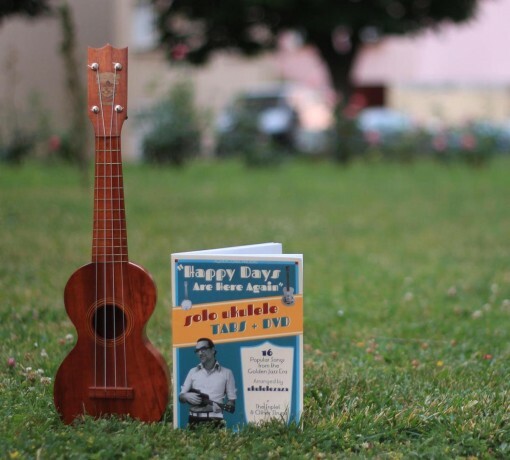 Here is a little presentation of the “Solo Ukulele Book” # 01made by the incredible ukulele player…. Ukulelezaza. First, the book is beautiful… very nice paper and great esthetic presentation… than… the content is THE treasure by itself. You will find 16 songs arranged by Ukulelezaza. Of course the playing ukulele style of this master is “old school ukulele”… and this is a great thing. With this music book, you will be very far from Mr Shimabukuro (or others modern players)… that’s what I love so much in “zaza” music. You will find the 20’ ukulele spirit. For the moment I have try to learn only one song… and my musical ukulele level had incredibly grow up while I was learning the song. 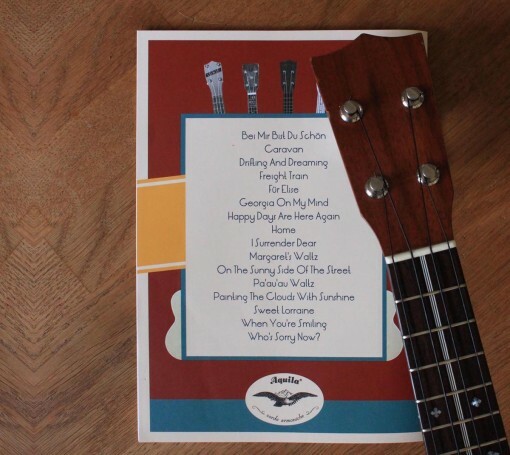 With the book, there is a DVD with all the 16 songs played by Ukulelezaza and some explication about different strumming. After a few days of practice, to illustrate all this I have try to play “Drifting and dreaming”. I hope you will like those videos, I have done my very best . I have play the song with three different ukuleles. Here is a video of « drifting and dreaming » from the book # 01 you will see a comparison between two resonator ukuleles.